A drug conviction can result in serious criminal and civil consequences. You could be facing significant jail time, court-ordered treatment, loss of your driver’s license, forfeiture of your property, and a permanent felony record. To fight these charges, it is critical that you have a lawyer with a proven track record in winning serious criminal cases. 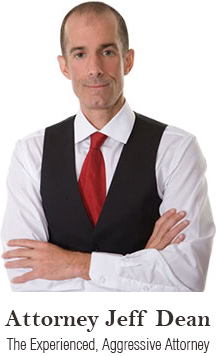 Jeff Dean has that record with a long history of successfully handling criminal cases. Mr. Dean’s distinguished record includes winning precedent setting cases, having laws struck down as unconstitutional, and winning many dismissals of charges and Not Guilty verdicts in a wide range of criminal cases from assault to murder. Jeff Dean has even won cases where evidence of guilt was overwhelming. In a drug case Mr. Dean won a NOT GUILTY verdict where the police found the drugs in his client’s pocket upon arrest and said the client confessed. He won a NOT GUILTY verdict in a murder case where the client confessed and extensive physical and testimonial evidence tied his client to the crime. And finally, Mr. Dean has repeatedly saved immigrants charged with a crime from deportation. The drugs were improperly weighed or analyzed. Under the law you are presumed innocent. Just because you have been charged with a drug possession or drug trafficking charge does not mean you are guilty. To protect your future, call Miami & Fort Lauderdale drug attorney Jeff Dean at (305) 967-6311 or (954) 204-3633.